NOTE FOR INTERNATIONAL CUSTOMERS: If you do not live in the U.S., you must click on the 'New(3)' button seen on the 'Other Sellers on Amazon' and order directly from Rsupport WITHOUT the Prime badge. 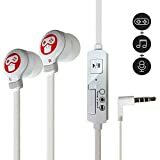 WORLD’S FIRST INTERNAL SOUND RECORDING EARPHONES: Supports voice over game sound audio recording (must use Mobizen or Gameduck app from Google Play Store). Record crystal clear cell phone game sound with no audio quality loss! Share with friends on Youtube, Instagram, Twitter, and much more. Great gift for kids, boys and girls alike and creative content influencers on social media! FEEL THE BASS DROP AND ENJOY THE CRISP TREBLE: Mobizen’s earphones are not just special because they record voice + internal device sound. That is just one of its features. Even when using the earphones as just regular earphones, you will be surprised by the high quality sounds running through your ears. Enjoy music at its best! SUPERB DURABILITY AND SIMPLE WHITE COMFORT DESIGN: Mobizen’s in ear ergofit design fits perfectly in your ear canals preventing the earphones from falling out. Relax and comfortably use for long periods without any inconvenience, tangling issues, or worries regarding how long this earphone will last without losing function; Guaranteed durability with long enduring quality maintenance. World's First Recording earphones with sound seperation function. *Install the GameDuck and Mobizen app from the Google Play Store. *Use it when you record games or videos in GameDuck or Mobizen. Premium Earphone : A premium earphone that satisfies not only listening to music, but also phonecalls and game sounds with live sound. Screen Record : The perfect solution for recording your game play. The privilege to choose which to record : game sound, voice, or even both. 1. 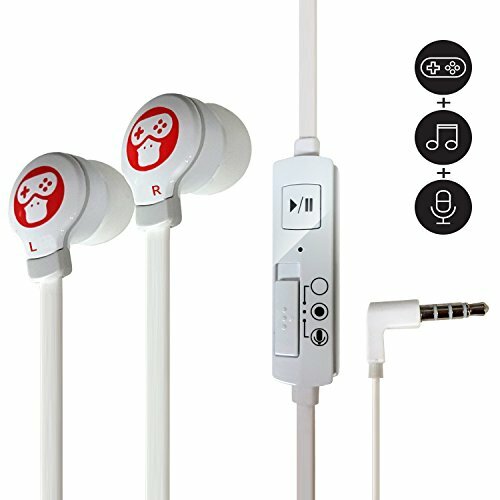 Earphone : Listen to music or talk over the phone in daily life. 2. Mic Off : Only records game sound if mic is turned off. 3. Mic On : Record both voice and game sound clear as diamond if mic is on. Warning : Loud volume damages hearing abilities. Keep away from children. Do not use while driving or exercising. Slight noise may occur in some devices during Recording. 1. On the product page, do NOT click on 'add to cart' right away. 2. Click on the "New(2)" under the "Other Sellers on Amazon" tab (a bit under the big "Add to Cart" button). 3. You will be directed to a new page where you will be able to find a purchasable 'add to cart' button next to the one that does NOT have the 'prime' button. 4. Again, press the 'add to cart' button that does NOT have the PRIME tag on it. 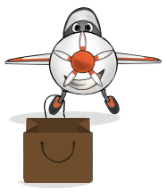 This will allow us to ship the order directly to you (not through FBA amazon fulfillment). That way, customers in foreign countries can place orders. By default, the first 'add to cart' button you see in the main product page is directed to FBA Prime orders, so only customers in the U.S. can order. But by using this method, foreign customers can order as well. Mohon maaf, produk Mobizen World's First Voice and Internal Sound Recording Earphones Headphones with Microphone and Volume Control for Android Cell Phones and Tablets sementara ini sedang habis.